Driving on public roads will be a less daunting experience for seven lucky winners who won an exceptional BMW Advanced Driving Experience valued at R15,000 each. The informative and expertly designed driving course has equipped Kwandile Dayimani, Nevani Sandrasaygran, Gert de Koker, Douglas Makganya, Anil Juan, Wimpie van der Merwe, and Diana Sanderson with extensive driving skills and knowledge - ones that included racing manoeuvres, techniques, and the theory behind the adrenaline. Well done to the winners, you now have a certificate to prove what great drivers you are! In Pretoria on Friday, 25 January at the Zwartkops Raceway in Centurion, the seven winners did not only enhance their driving skills, but also improved their car maintenance knowledge. The winners were joined by their friends in the driving experience course and were accompanied by professional instructors who assisted them in practicing various techniques and a wide range of driving manoeuvres. After completing a few laps under the guidance of instructors, they then got a chance to do it all on their own and to apply their newfound skills on the racetrack. 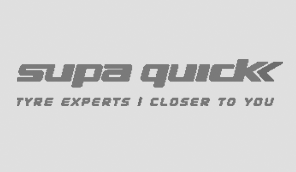 To qualify for the competition, participants first had to graduate from the Supa Quick Quickademy, an online resource of how-to videos and information designed to inform drivers about the important parts of their vehicle such as the tyres, shock absorbers, batteries, exhausts, and brakes. Consumers were encouraged to learn as much as they could from the videos and content on the Quickademy web portal and confirm their new knowledge by answering a few quick questions. Once completed, they were eligible to win a BMW Advanced Driving Experience. “The BMW Driving Experience is where safety and exhilaration meet but most importantly the techniques shared with the participating drivers are very useful on public roads for better car handling. Various elements are considered as part of the driving course such as collision avoidance and skid control as well as targeted braking applications and lightning-fast evasive action, ensuring one can handle critical situations with ease. For these lucky winners the learning was thrilling, and the experience was memorable,” says Dion Ruppert, Chief Instructor from BMW Driving Experience South Africa.